If you love the look of a-grade teak dining chairs, yet want something that isn’t traditional, then the Peanut chair is perfect! It has a contemporary nautical vibe and has a very stable and solid construction. 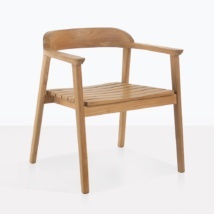 You can feel the weight of the beautiful a-grade teak with this chair. 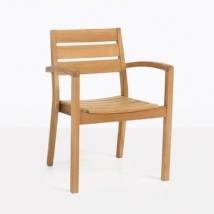 The rounded back is finely crafted and supported by vertical slats. It’s casual yet sophisticated. W26" x D22" x H34"
You can pair the Peanut outdoor dining chair with any of our a-grade teak dining sets. 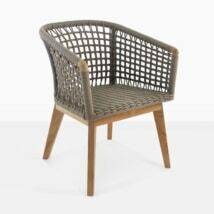 Or go a little more nautical and pair it with our a-grade teak and 316 marine grade stainless steel dining tables. These patio tables are stunning with just the perfect amount of stainless steel to break up the teak. Teak Warehouse has an amazing collection of outdoor dining furniture. 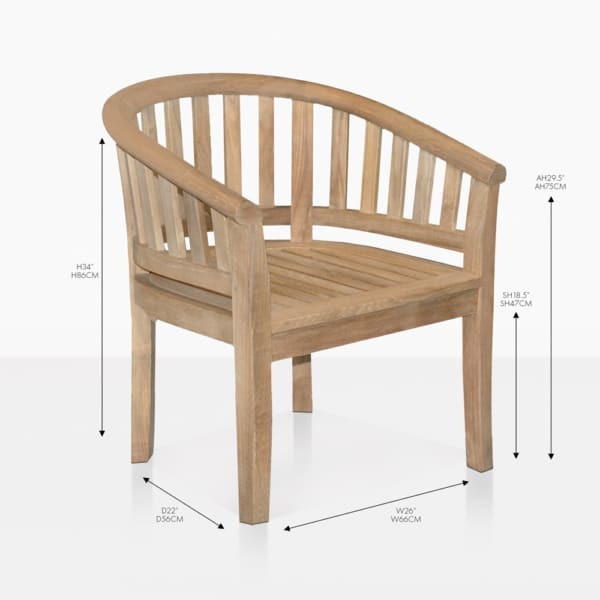 You can choose any patio dining chair you like and pair it with any table. Create a setting for two people or ten people. There are so many options. Enjoy shopping our site, or visit our showroom. We are open to the public daily.